Plug In America, led by a diverse group of experienced electric car advocates, has compiled a list of the 50 states and the benefits they provide to owners of electric vehicles, including tax breaks, tax credits, and access to HOV lanes. The latter, most associated with California, is also a benefit offered to owners of electric vehicles in Arizona, Florida, Georgia, New Jersey and Utah. (Wait a minute, there’s traffic in Utah?) It’s also under consideration in Hawaii and Massachusetts. Surprisingly, Tennessee, which is home to Nissan USA headquarters, has a fairly weak incentive program. It is offering up to $2500 for the first 1000 vehicles sold in the state. Tennessee is also home to a network of Cracker Barrel restaurants that will have free charging stations for electric vehicles starting this spring. It would make sense that the 1000 vehicle rebate program could end quickly in Tennessee. 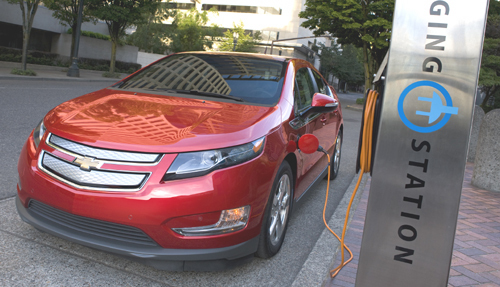 These electric vehicle owner benefits come on top of the federal tax credit for electric vehicle purchasers. The federal tax credit ranges from $2500 to $7500 depending on battery size. It is limited to the first 200,000 cars manufacturers sell before it goes away (much like hybrid tax credits for the Toyota Prius are distant memories). In a related story reported last week here on TorqueNews, members of the National Auto Dealers Association are resistant to a White House plan to have dealers pay the plug-in hybrid tax credit directly to consumers.